Our terminals work on low voltage DC (Direct Current) power. This can come from a single power source per device or through a multiple-terminal system using a single power supply with networked power distribution. The low voltage power is compatible in most installations in the same conduit as in contained network communication cables. For some applications, a PoE (Power over Ethernet) option may be also available. 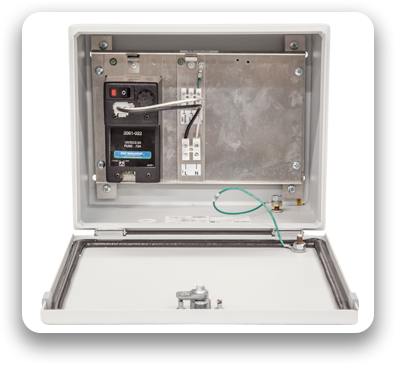 There is an available sealed cabinet that can enclose the power source, a UPS (Uninterruptible Power Supply) and a network switch. This configuration is commonly used in multiple terminal distribution network and power applications. The terminals come with a direct-connect Ethernet port for standard network communication. There are also options for Wi-Fi, ZigBee, or Cellular communication. At Fleet Management, customer support is our top priority, and we understand that every operation has unique needs. Our experts are available to assist with the design of power circuits that best meet your installation requirements. 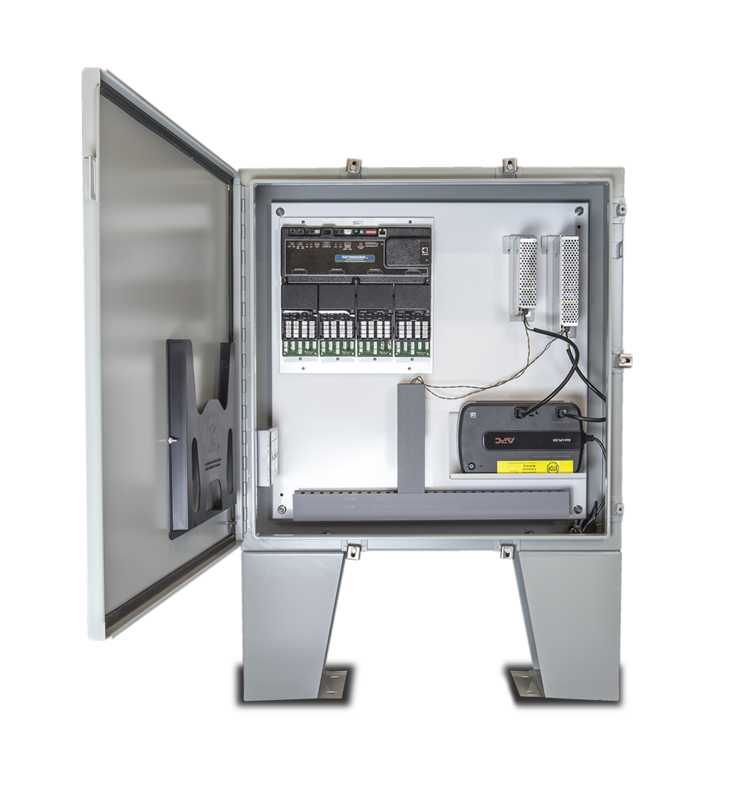 We can also assist with the overall system design to determine the best communication configuration for your specific environment. The Fuel Island Genus terminal places all crucial attendant and vehicle information at your fingertips. 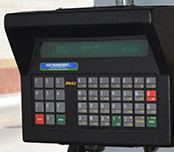 Vehicle identification, mileage, fuel utilization and more can be logged and displayed with a simple key press. 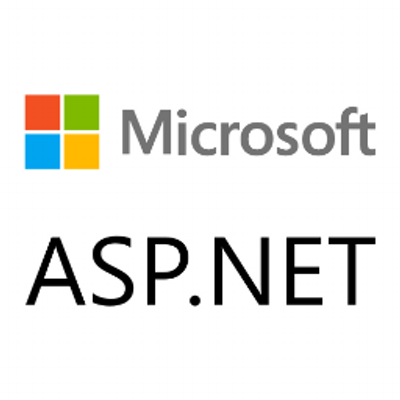 System Manager is an ASP.NET-based data collection platform for accepting terminal transactions, managing terminal software updates, loading employees, distributing data and organizing data for distribution to terminals.